You can learn more about MSRI's first Congressional events that took place as part of the inaugural National Math Festival here. June 13, 2019: Jon Kleinberg, Cornell University - "Addressing Threats and Vulnerabilities in Critical Interconnected Systems: Common Principles in Disease Outbreaks, Internet Malware, and Bank Failures"
MSRI and the American Mathematical Society cordially invite you to join a lunch briefing on Capitol Hill, featuring Jon Kleinberg of Cornell University. Dr. Kleinberg will speak on the topic of "Addressing Threats and Vulnerabilities in Critical Interconnected Systems: Common Principles in Disease Outbreaks, Internet Malware, and Bank Failures". December 4, 2018: Rodolfo H. Torres, University of Kansas - "From the Color of Birds to Nanomaterials and New Technology"
On December 4, 2018, Rodolfo H. Torres of the University of Kansas spoke on Capitol Hill on "From the Color of Birds to Nanomaterials and New Technology". Speakers at the Congressional briefing included MSRI Director Dr. David Eisenbud and AMS Associate Executive Director Dr. Karen Saxe. An event flyer (PDF) is available for download. Surprisingly, investigating the beautiful coloration of bird feathers with mathematical tools has led scientists to new technologies in the fabrication of materials of highly saturated colors, adaptive camouflage properties, and efficient photovoltaic attributes. Fundamental mathematics research has explained the origin of the blue and green colors of birds and other animals and revealed the existence of intricate photonic crystal structures. These astonishing structures provide inspiration for research involving nanomaterials. Nanomaterials are already commercialized, and are used in a variety of manufacturing processes, products and healthcare including in artificial enzymes, paints, filters,insulation, and lubricant additives. Like a prism that decomposes a beam of light into a rainbow of colors, Fourier analysis transforms electron microscope images of tissues of living organisms into a mathematical rainbow of basic components. Fourier analysis has been an extraordinarily powerful mathematical tool since its development 200 years ago, and has current applications from a wide range of modern scientific fields—in digital image processing, forensics, option pricing, cryptography, optics, oceanography,protein structure analysis and other areas. Rodolfo H. Torres is a University Distinguished Professor of Mathematics at the University of Kansas. He has also served for six years in Office of Research, first as Associate Vice Chancellor and then until recently as the Interim Vice Chancellor and President of KU Center for Research Inc. 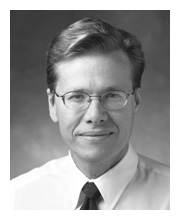 He was named Fellow of the American Mathematical Society in the society's inaugural class. His research has been funded by the National Science Foundation for the past 25 years and includes collaborations with biologists, engineers, and economists. May 22, 2018: Erik Demaine, Massachusetts Institute of Technology - "Origami Meets Math, Science, and Engineering"
On May 22, 2018, Erik Demaine of the Massachusetts Institute of Technology (MIT) spoke on Capitol Hill on "Origami Meets Math, Science, and Engineering". Speakers at the Congressional briefing included Representative Jerry McNerney of California, MSRI Director Dr. David Eisenbud, AMS Associate Executive Director Dr. Karen Saxe, and AMS President Dr. Ken Ribet (University of California, Berkeley). An event flyer (PDF) is available for download. Surprising applications in manufacturing, robotics, animation, biology, meicine, nanotech, and space technology have grown from new fundamental research in computational origami, the study of the mathematical and geometric underpinnings of the simple act of folding. Erik Demaine, MacArthur Fellow and MIT computer scientist, has been instrumental in these developments. Dr. Demaine is also an acclaimed artist, and was featured on NOVA's "The Origami Revolution." His works have been shown at major museums, and his pieces are in the permanent collections of Washington D.C.’s Smithsonian Renwick Gallery and New York’s Museum of Modern Art (MoMA). 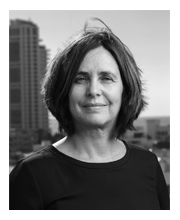 On December 6, 2017, Shafi Goldwasser of the Massachusetts Institute of Technology (MIT) and incoming Director of the Simons Institute for the Theory of Computing at the University of California, Berkeley, spoke on Capitol Hill on "Cryptography: How to Enable Privacy in a Data-Driven World". Speakers at the Congressional briefing included House Minority Leader Nancy Pelosi, Representative Jerry McNerney of California, and Representative Dan Lipinski of Illinois. An event flyer is here. In the last 40 years, the field of cryptography has shown how to use basic mathematics to enable secure electronic commerce. Nowadays, we are faced with a new challenge. Medical breakthroughs, smart infrastructure, economic growth by clever consumer targeting, and surveillance for national security, have become possible due to the enormous amounts of data collected on individuals. Yet, this data collection seems to stand in contradiction to patients' rights, consumers' privacy, unfair pricing, and the basic 'Right to be Left Alone'. The question is, can mathematics and technology make it possible to maintain privacy and make progress at the same time? We will show how modern encryption methods, zero-knowledge proofs, and multi-party secure computation go a long way to get the best of both worlds. We hope you enjoy a 3-minute movie, showing a behind-the-scenes peek at briefing day in Washington! Dr. Shafi Goldwasser is the RSA Professor of Electrical Engineering and Computer Science at MIT. Goldwasser's pioneering contributions include the introduction of zero-knowledge interactive proofs, protocols, and multi-party secure protocols, which are key technologies for online identification, utilizing blockchains for distributed transactions and for data-intensive collaborations in regulated industries. Dr. Goldwasser was the recipient of the ACM Turing Award for 2012, the highest award given in the field of computer science, as well as the Gödel Prize in 1993 and 2001, the ACM Grace Murray Hopper Award, the RSA Award in Mathematics, the ACM Athena Award for women in computer science, the Benjamin Franklin Medal, and the IEEE Emanuel R. Piore Award. She is a member of the American Association for the Advancement of Science (AAAS), the National Academy of Sciences (NAS), the National Academy of Engineering (NAE), the Israeli Academy of Science, and the Russian Academy of Science. She is an honorary member of the London Royal Mathematical Society and holds honorary degrees from universities around the world. Goldwasser received a B.S. degree in applied mathematics from Carnegie Mellon University in 1979, and M.S. and Ph.D. degrees in computer science from the University of California, Berkeley, in 1984. She will be joining the University of California, Berkeley in 2017 as the Director of the Simons Institute for the Theory of Computing. On June 28, 2017, David Donoho, Professor of Statistics at Stanford University, presented "Blackboard to Bedside: How high-dimensional geometry is transforming the MRI industry" at the Russell Senate Office Building in Washington, D.C. An event flier is here. Among the attendees of the event were Senator Charles Schumer and Leader Nancy Pelosi, both of whom gave remarks. Recently the FDA approved a device for dynamic cardiac imaging that gathers data 15 times faster than before and another device that speeds up 3D brain imaging by a factor of 8. The speedup will allow more patients to be served at a lower cost per patient, giving US taxpayers a better return on the tens of billions of dollars in annual MRI charges. Professor Donoho's presentation tells the story of how U.S. investment in basic research in the mathematical sciences led to this breakthrough. Dr. Donoho is a MacArthur Fellow and National Academy of Sciences member. One of the world’s leading mathematical statisticians, he is currently the Anne T. and Robert Bass Professor of Humanities and Sciences and professor of statistics, Stanford University. His Stanford patents on compressed sensing are licensed by both GE and Siemens in their new generation FDA-approved scanners. The story arc of Federal funding that made a 10-year progression possible, from blackboard to bedside. This development holds the promise that many patients who today do not receive MRI imaging at all—prior to brain or heart surgery, or whose imaging is delayed, cost-prohibitive, or non-diagnostic in quality, now will have more readily available, diagnostically meaningful scans at lower cost. The savings of lives, the improved surgical preparation and outcomes, and the ability to use MRI imaging technology to inform a wider range of medical conditions in neurosurgery, cardiac, and other applications, is significant for patients of all ages. Here is a PDF summary by Professor Donoho of many of the points he made in his briefing for those who would like further information.